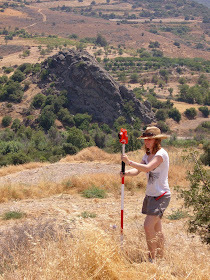 From September 2012 the University of Edinburgh will be launching a new masters programme - GIS & Archaeology. "The GIS & Archaeology programme at Edinburgh is unique. It builds on our reputation as a centre of excellence in Geographical Information Science (GIS), with a pedigree in archaeological teaching and research which extends back into the 19th Century. It is designed to combine GIS and archaeology into a programme with a distinctive Scottish flavour, while being outward-looking and encompassing international perspectives." This is a masters I can thoroughly recommend, with a programme of courses that will be both challenging and rewarding. An understanding and firm technical grasp of the use of GIS in archaeology will set students up for the commercial workspace as well giving them a much needed edge over recent archaeology graduates at a time when employment can be hard to come by.